Smaller & lower power than the Model B+ now available for less than £16.00. The perfect case for your Raspberry P 3 Model B, 2 Model B and B+. 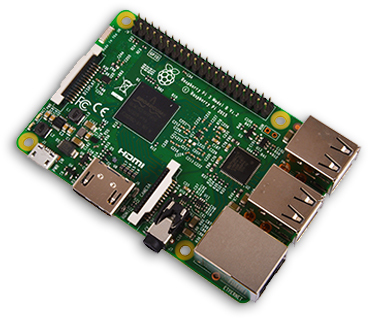 Small in size and big on performance, each Raspberry Pi from the low power Raspberry Pi A+ to the powerful new Raspberry Pi 3 Model B provides a perfect mix of performance, cost and connectivity. At the heart of each board there is a powerful Broadcom SoC capable of running a variety of operating systems and programming languages from NOOBS to Windows 10 IoT.